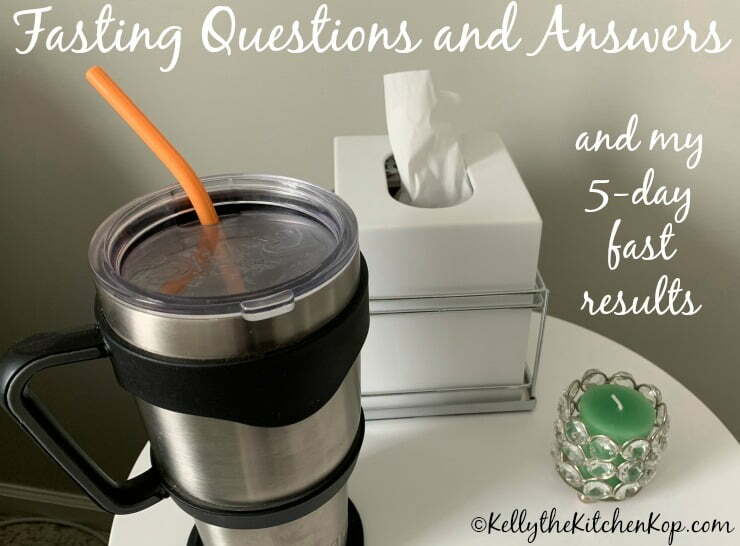 Today I've got some fasting questions and answers for you from Instagram last week, plus I'll tell you about my 5-day fast results! 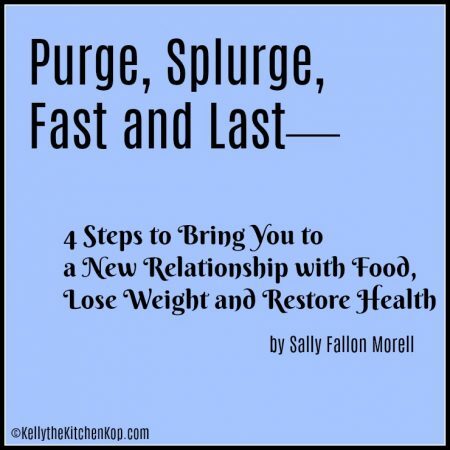 UPDATE: Here's a newer post where my friend and blog assistant, Susan, shares about her experience with fasting even though she has adrenal fatigue — hint, she's finally feeling better! We planned to start after Sunday's meal, but Terri was beginning after Saturday dinner so Kent and I just decided to get the show on the road and start then too. I'm glad we did because she and I talked every day — it was really nice having someone else going through the exact same thing at the same time. It wasn't terrible (except for a painful twist on the 4th day). Best of all: my stomach shrunk so I get full faster now and can only eat about half what I used to, plus I definitely have less sugar cravings, this actually works! 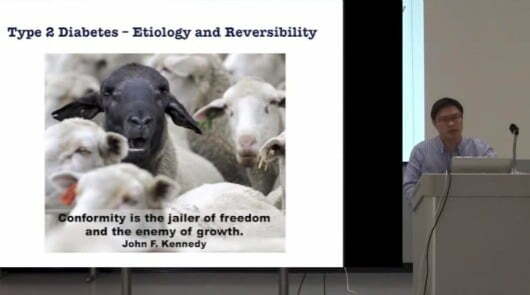 Also, hopefully the unseen cellular changes happened to prevent chronic disease that they talked a lot about here. It was surprisingly easy for the first 3 days. Terri and I would be on the phone and find ourselves talking about Keto recipes and then one of us would say, “New topic!” So food really sounded good, but I didn't actually feel hungry. Think about it, do very many of us even know what that feels like?! It's weird that you can not eat for a few days and feel so normal. My energy was good, I shoveled the whole driveway on a heavy snowy day here in Michigan and things were going fine. I had planned to drink 2-3 cups of bone broth daily but only ended up having 2 cups the whole 5 days (along with 2 cups of coffee, 1 cup of tea, and otherwise just a lot of water). The reason is because part-way through the week I read more about broth during a fast, saying that a “clean fast” (water only) is better unless you're new to fasting and need the broth to get you through periods of hunger or other unpleasant symptoms like a headache. After the 3rd day my back started hurting. It could partly be from the shoveling but mostly I think it's because I sat so much more than normal that week. I'd had a bunch of planned leftovers for the kids just so I wouldn't have to be in the kitchen much, and to keep my mind off food I was in my office getting extra work done on the computer. I didn't want to have to break my fast early over this! The next day it got worse. After the bad night I woke up not only with my back really hurting, but overall wasn't feeling good after 4 1/2 days of no food. My back pain flared even more and now with nausea when I'd drink more water. I tried the mushroom tea, which I think helped a little. A nap with the heating pad was SO nice and took the pain totally away for one wonderful hour, and then it came back worse, with pain radiating to my arms and legs. Yes, for those of you who are homeopathy geeks like I am, I did try the correct homeopathic remedy for that, even in a 1M, but it wasn't working and more heat didn't work this time either. The pain was at a 7 now and felt just like back labor! By now I realized I was going to have to break my fast a half-day early so I could take 2 Motrin just to get the anti-inflammatory effects. I was so excited for this big dinner I wanted to make for my family after all these days, and I couldn't do that with back pain. So I just had a handful of these lovely keto snacks with some ranch dip and wow did they taste good. Then I took the Motrin and also tried ice on my back, which worked really well together so I could make our big dinner without pain, yay! I've been fine ever since too. We just don't appreciate living without pain until we DO hurt, right? Food is so intertwined into family moments and I missed that a lot. He normally does a 24-hour fast 3 days a week. Why 3 days a week? Because I mentioned once a year or so ago about how good it is for us, especially because of the strong Alzheimers gene in his family, so he decided to do it and I don't think he's missed a day since. He's so SO disciplined that he just decides to do something and does it. That's admirable usually, but sometimes he just makes me crazy! He planned to just have water for his 5-day fast, and otherwise said he was only feasting on Jesus all week. (Holy Communion.) He did a 3-day fast at least a couple of other times and didn't have any issues with this 5-day fast until the last day. He said he was shaving and suddenly felt really light-headed, his face went white, and he had to sit down for a few minutes. “It felt like a really bad hangover without the headache.” He probably should've eaten, but he rested for a few minutes, drank some water, and then was fine. However, he also concluded that 5 days may be a bit much, and maybe 4 days would be best in the future. I read somewhere that Mercola said 4 days is his sweet spot. I’d say all 3 of us found the same to be true. I do plan to do it again now and then, mostly for those unseen cellular benefits and the way it cuts cravings. What if we want to do a bone broth fast and can't get bone broth? How do you avoid being cranky as #%*!! ??? I’ve made it one and a half days on a juice fast—never longer. It’s hell. I'm not sure, but I think this happens from a mineral deficiency if you're not drinking enough water OR if the water you're drinking is from a reverse osmosis unit, so it has no minerals in it. 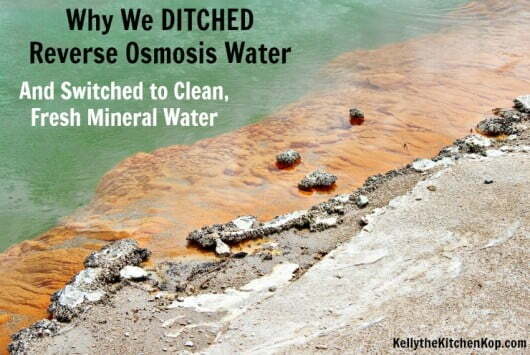 (Read more: Why we ditched RO water and what we got instead.) Thankfully I didn't feel this way. By the way, a juice fast is very different than the kind of fast I'm talking about here. Juices have sugar and that wouldn't be a true fast. 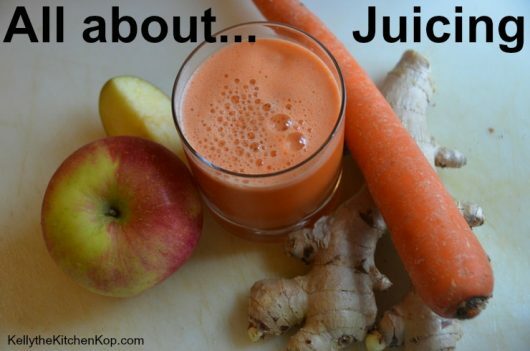 Read more about juicing here: Is Juicing Good for You? Did you do a pre-fast where you cut back on food a few days before? I only drank shakes for 3 days prior to starting and have no addiction to coffees or food so I don't seem to be struggling like most people talk about. I've been doing intermittent fasting for a year or two, maybe much longer actually because I rarely eat breakfast. (And people said all those years that that was bad for me, I'm glad I didn't listen!) So maybe that helped some? Is there a particular book or doctor that you think knows the best on Keto Diet? I see a lot of claims of “I’ve got the real Keto diet” by docs. 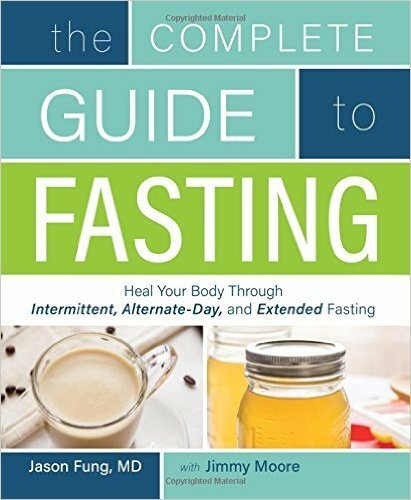 Here's my favorite: The Complete Guide to Fasting by Dr. Jason Fung — I refer back to this book a lot! Do you recommend any type of fasting for nursing moms? No, for sure not. Right now enjoy that babe in your arms and eat lots of healthy fats, pastured meats, etc. The day will come when you can try fasts. Did you change other things about your lifestyle during the days to make it? Were you able to maintain a normal level of activity and energy? Or did you feel weak? Surprisingly yes, besides a few stomach growls (not as many as you'd think) I felt really normal. It was odd! Until that last day. THEN I felt weak and just icky. Do you think it affected your metabolism? Do you feel any better afterward? I feel normal afterward, BUT I definitely notice that I'm full faster and I have less cravings too! You know how people use the abbreviation “LCHF”? And that means low carb high fat, right? Wellllll………. 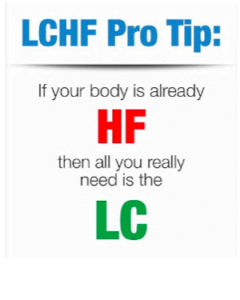 if your body is already HF, then all you really need is the LC! Because the more fat you eat, the less of a need your body has to tap into its stored fat to use for fuel. So to burn body fat, Amy Berger says we don't need to CUT fat necessarily (I'll never EVER go lowfat, no way! ), but we don't need to go overboard ADDING extra fats in as many think. Learn more from Amy here. Interesting article: Does coffee break your fast? Spoiler: no it doesn't as long as you drink it without cream or sugar. Thankfully I like it black, but even Dr. Fung says if you need a splash of cream to keep you on the fast, to go ahead and do it.